Ever felt like you had no idea what your purpose was? Ever asked God, “What am I supposed to be doing?” You take a bird’s eye view of your life, and you don’t see any way that God could use you. You read blogs and Facebook posts and instead of inspiring you, it’s depressing. People are reaching millions through their words, through mission trips, and the list goes on. You live in a middle class neighborhood, with a middle class income, 2.5 kids (I never know what the .5 is for, but I’ve always wanted to use it so here it is), you have a pet that drives you crazy, and you drive a minivan. Typically, you run late for, well, everything. You might stay home to work, or you might venture out to work. Your job is average. In fact, most days you don’t even want to be there. Your hair is in serious need of color or a cut. You’re still wearing clothes from five years ago, and they’re too tight. While you long to be a Sephora kind of woman, you’re just a Cover Girl. You do the same thing day in and day out. You wouldn’t call your life beautiful. You’d call it…reality. Ever compared yourself to others? Wished you had someone else’s gift? Yeah. Me too. Audrey decides to be more like those people. She thinks it will help her become a better match for the single pastor who has his eye on her. But what Audrey doesn’t realize, and what you may not realize, is God made you unique. I know, we say that all the time until it becomes cliché, and we don’t even believe it. They’re beauty to God. Because He gave each one of those gifts to you. To make you who you are. To be used for His glory. Take that ability to make a cozy home and share it with others. Host a small group or Bible study. Go into a single mom’s home and help her create the same atmosphere for free! Using things you’ve found at garage sales or using what she has. When she comes home after an exhausting day, her home becomes her sanctuary, and it gives her a measure of peace. A gift God gave you has now been used for His glory. A reminder every day for her that He loves her and has her in His hands. If you love to bake and cook. Host a progressive dinner to give your small group a fun night. Take your deliciousness to teachers, new moms, families who are grieving. Everyone knows fellowship over food is king! J Share your gift to bring joy into lives. Take a dish to your new neighbor. Bake a birthday cake for a mom who can’t bake but wants to do something special for her kids. Maybe she can’t even afford a cake. But you have the ability. Do it. It’s a beautiful thing. If you scrapbook, start a local group and invite the one who cooks lol! She can bring dessert. Who knows what a stress reliever that will be to a mom how needs a night out. It’s fun. It’s ministry. And who knows what divine appointments await. Use what God gave you. No you might not be in Africa feeding tens of thousands of starving children. But you are pouring renewed hope into a frazzled mom. You might not be singing to a theater of people. But you’re touching a tired working woman who needs recharging for a week to come as you sing to a church body of 75 people. You might not have your own decorating show, reaching millions. But you are bringing some joy into the life of someone who needs to feel secure and safe. You might not be writing the best seller novel, but you’re touching hearts as you pen little notes of encouragement to the people in your community. A good word in due season is gold! Maybe like Audrey in my novella, you just need to see that God loves you and can use you, just the way you are. It’s a thing of beauty. You are beautiful. Your gifts…they aren’t common. They’re beautiful. Just like Jess said above, she understands feeling common. But she also knows God created us all for a purpose AND abundant life. It was out of this heart-knowledge that Audrey's story was born. Much like Jess just encouraged us to use our gifts to reach others, she's using hers to reach out too. 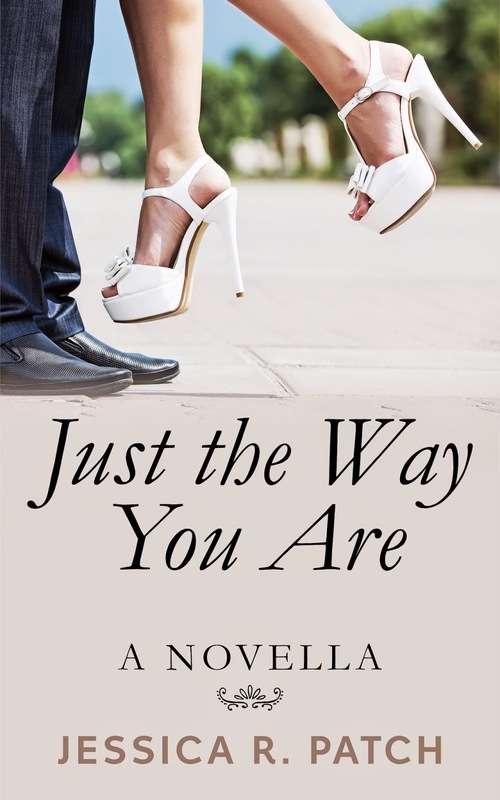 She's giving away her novella for free for a limited time. To receive your copy, sign up for her newsletter at the link below. 4-6 times a year you'll receive an encouraging newsletter from Jess along with a few more stories. 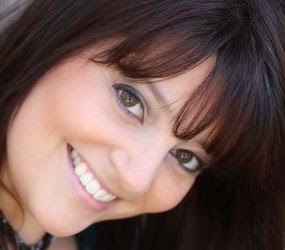 Jessica R. Patch lives in the mid-south where she pens inspirational contemporary romance and romantic suspense novels. When she’s not hunched over her laptop or going on adventurous trips in the name of research with willing friends, you can find her sneaking off to movies with her husband, watching way too much Netflix with her daughter, dominating her son at board games, and collecting recipes to amazing dishes she'll probably never cook. Her debut novel with Harlequin Love Inspired Suspense will release in early 2016. She is represented by Rachel Kent of Books & Such Literary Management. Connect with Jessica on: FACEBOOK https://www.facebook.com/pages/Jessica-R-Patch-Writer/209834115730711?ref=bookmarks , TWITTER https://twitter.com/jessicarpatch , PINTEREST https://www.pinterest.com/jessicarpatch/just-the-way-you-are/ where you can take a peek at the cast of Just the Way You Are and get a peek into some fun scenes in the novella, her WEBSITE www.jessicarpatch.com . Awe, That was so well said. I think we have all felt that one way or another. What can God do with me? I'm just do ordinary. Thanks for reminding us who we are in Christ. So true, Dana:) This post was a great reminder. What a beautiful post, Jessica. I think it's important to start my day with scripture to remember God has a plan for my life which means my day. I want to be used by Him every day. Thanks for the reminder we are beautiful because of Him.